We’re all familiar with the after-Christmas detox – that peculiar practice of making amends for all the rich foods, alcoholic lovelies and sugary confections we indulged in over the silly season. Even if you don’t have a personal acquaintance with the post-binge flush-out, you’ve at least heard of it, usually in January, from gloomy-faced friends and work colleagues. Sounds boring right? Well in the lead up to this year’s festive season, we’ve come up with a novel idea to keep the traditional over-indulgence guilt-trip at bay. It’s called the Pre-Christmas Prep. Like a runner preparing for a marathon, the Pre-Christmas Prep gets your body in the best possible shape to meet the gruelling demands of Uncle Don’s Brandy Alexanders and Grandma’s famous triple-decker trifle. It’s about getting an all-body tune-up to help your system endure the rigors of rum cake and rum shots. Try it for a few weeks in the lead-up to Christmas and with a little luck you just might make it out the other side feeling fighting-fit and ready to tackle the new year. Start every morning with a large squeeze of lemon juice in a glass of filtered water. Lemon juice is a great liver cleanser and combined with clean, room-temperature water, is a great way to kick-start your digestive system and get it ready for some festive-season punishment. Exercise – we can hear you quietly whimpering, but getting adequate exercise doesn’t have to be a big deal. Just 30 minutes of moderate exercise every day is all it takes to smarten up your metabolism. Try yoga, a brisk walk in the park, or something fun like Zumba. Eliminate, or at least cut back on, wheat flour, dairy, sugar and red meat. Replace these foods with lots of vegetables, fruit, nuts, seeds and legumes such as beans, lentils and chickpeas. Moderate amounts of egg, brown rice and good oils like olive and coconut are also fine to include. Treat your kidneys and liver to a little spruce-up by abstaining from alcohol and coffee for the duration of your Pre-Christmas Prep. The short rest will do them good. Limit tea as well as it also contains caffeine – yes even green tea. Supplement your diet with vitamins and amino acid combinations. Amino acids are used by the body for growth and repair of body tissues, while vitamins are essential for just about every aspect of your health. Everyday stress, poor diet, some medications, and lack of sleep (sounds like someone you know?) 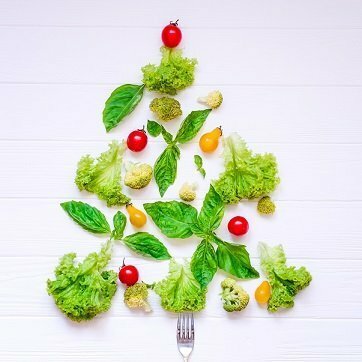 can lead to a depletion of vitamins and amino acids, so it may pay to top up your body’s supply before you hit the holiday season.